Independent of the promises of a fair and transparent verification of the draft list of four million people now left out of Assam’s National Register of Citizens (NRC), the situation can deteriorate unless wholesale solutions are found, before it became too late. If nothing else, if the Governments at the Centre and in the State are going to deploy the very same set of officials, down to the village-level, to undertake such verification, it can raise issues of credibility and possibly a near-repeat of what is already on the table. Leave aside the State’s population before and after the NRC exercise, the very number of four million people now identified as non-citizens is so huge that physical re-verification can become a complex process. This could become worse if any or many are willing to take up individual cases or in collective through courts and other avenues, before any finality can be reached. It takes time, and that is what has already been lost since the ‘Assam Accord’ provided for expelling ‘foreigners’, whoever was in power at the Centre up to the present day. The first and foremost question is if they could seek ‘judicial relief’ from Indian courts if and when they are declared ‘non-citizens’. Western nations, which are home to such refugees from across the world, have been housing them in special camps for years before the last court in the concerned land comes up with its verdict. India has refugee camps for Sri Lankan Tamil (SLT) and Rohingya refugees, among others, but this would be a different experience, possibly ‘experiment’, too. If allowed to stay on and face court cases, then what will be the interim status of these people in terms of local jobs, including those in the Governments at the Centre and the State, PSUs and even private enterprises? If not, what next? Does the Centre have the tools and mechanisms to have them out leave alone the heart to do so, especially if the UN, international NGOs and media get to work? All media discourses favouring the outlawing of the four million found to be ‘non-Indians’ pre-supposes that they are all Bangladesh citizens. India can at best prove that they are all not Indians. But India and Indians cannot assume that they are all Bangladeshis and not otherwise, even granting the argument that they are ‘non-Indians’. It is for either those affected persons to prove their ‘other’ national identity, which they now claim they don’t have other than being an Indian, or they should be left to Bangladesh’s largesse to accept them as ‘our people’. India had done so in the past, in the case of ‘refugees’ from Burma, now Myanmar, and Sri Lanka’s Upcountry Tamils of recent Indian origin (IOT). India also opened up the border for the Tibetan refugees who accompanied the Dalai Lama, when New Delhi decided to grant political asylum to the latter. Good precedent as may be, India cannot assume that Bangladesh Government would oblige, if and when approached. After all, Bangladesh now has problems accepting the half-a-million-plus Rohingya Muslims as its own citizens. India too has appealed to Myanmar along with the rest of the world, including the UN, to accept the Rohingyas as theirs. But then, Myanmar’s liberal leader Aung San Suu Kyi too has a closed mind on the subject. There is the other aspect of the NRC crisis. Starting with the ‘foreigners’ agitation by the All-Assam Students Union (AASU) decades ago, there have been claims that millions of people from erstwhile East Pakistan choosing to stay back in India and not returning home even after Bangladesh was born, and the war too had ended. This means that they may not have any document proving their Bangladeshi citizenship, either. There are international norms and laws that force a national government to accept those who are inherited from a common parental-nation as citizens. It happened between India and Pakistan at Partition, and between Bangladesh and Pakistan, again after enforced ‘Partition’. Decades after the Bangladesh War-1971, Dhaka agreed to confer citizenship on three-lakh Mujahirs, or ‘Biharis’ from pre-Partition India who had migrated to post-Independence Pakistan. But in the case of those who are now in India, the question of having to prove their East Pakistani identity may rest with New Delhi, not Dhaka. Translated, this could mean that if Bangladesh or another nation did not take them back, it could well mean that with final Indian determination, these people could constitute the single largest chunk of ‘State-less people’ anywhere in the world. According to the office of the UN High Commissioner for Refugees (UNHCR), there are (only) about ten million Stateless people across the world at present, of them one million in Myanmar’s Rakhine State, the origins of the Rohingya refugees. Even critics of the incumbent Government’s foreign policy readily concede that under Prime Minister Narendra Modi’s leadership, India has built upon the positive vibes in bilateral ties with Bangladesh (inherited from the predecessor Manmohan Singh administration). The continuance of the Awami League Government of Prime Minister Sheikh Hasina in Bangladesh through the past ten years also helped. Today, when national elections are due in Bangladesh later this year, questions are still open if the Opposition Bangladesh National Party (BNP) of jailed former Prime Minister, Begum Khaleda Zia, the NRC crisis in India could impact on voter-mood in that country. Begum Khaleda was not seen as India-friendly when in power. More than that, Sheikh Hasina is acknowledged as India-friendly in both nations, and is also seen as being so. Given the competitive nature of Bangladesh’s domestic politics and elections, as elsewhere, the NRC crisis now could become a major poll issue in that country, especially if the BNP were to enter the fray after boycotting the parliamentary polls five years ago. Does it mean that India may have committed a politico-diplomatic faux pas by timing the release of the draft NRC ahead of the Bangladesh polls? Two, what if a post-poll Government in Dhaka, to whichever party or leader it belonged, declines ownership of those rendered ‘Stateless’ by India, now or later? Where do these people then stand? Where will India stand in relation to them, and also in the comity of nations, where only recently, New Delhi had joined the rest of the world, asking Myanmar and such other nations to take back Rohingya and such other ‘State-less’ people and also confer on them citizenship? 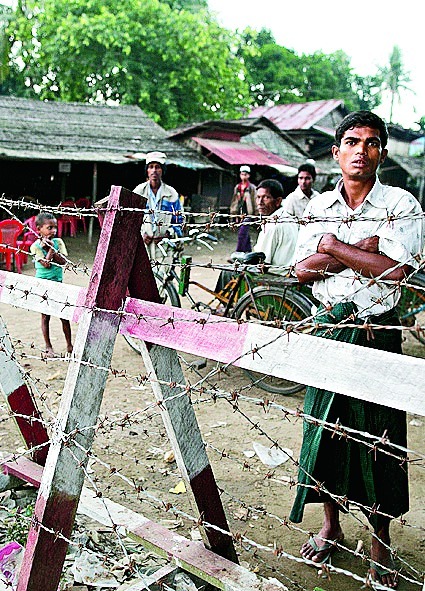 It is in this context that India needs to imagine a situation where we end up pushing all those rendered State-less after the current NRC exercise reaches a final stage, but Bangladesh Border Guards (BBG) and other military forces offer stiff resistance at the instance and orders of their Government. If India is not up to it, now or later, these people are going to live in Indian territory, but as ‘State-less refugees’, with all attendant complications, including those of health and hygiene, education and employment, security of the neighbourhood and of the nation. There is no denying repeated Government assurance that the Draft NRC is only a draft and that future verifications would help address the short-comings, individual complaints and address criticisms, both political and otherwise. But more State Governments, especially those ruled by Prime Minister Modi’s BJP have begun flagging a similar case in their respective States. If conceded, this could create more problems than solving any, even accepting the genuineness of their demands. Thousands, if not lakhs, of illegal migrants from Bangladesh are working all across India at present. Upping the political upping of the ante against their presence, alongside the ‘NRC issue’, could well produce a social crisis akin to illegal Mexican migrants in the neighbouring US. In the US, as is known, the demand for throwing out the Mexican migrants has been a constant electoral slogan, especially by Republicans like incumbent President Donald Trump – but with nothing done to upset the apple-cart. If it were all to lead to a witch-hunt of sorts against ‘foreigners’ residing and working all across India, and identifying them only by their religion and language, then genuine Indian citizens from West Bengal, and adjoining areas in Bihar and Odhisa, Assam and Tripura, among other States of the Union, speaking Bengali and possibly born Muslims, too could be victimised. Already we have the avoidable episodes of motivated lynching of ‘beef-sellers’, most of whom happen to be Muslims. In a situation where ‘foreigners’ could obtain first voting rights, and later on Aadhar and PAN cards (all under different Governments at the Centre and in the State, one should assume), even ‘buying back lost citizenship’ is a possibility that cannot be ruled out. All this in turn could strain Indian nationhood more than already apart from straining good-neighbourly relations with Bangladesh, among others. The alternative to the present crisis could well be for India and Bangladesh, among other neighbours in the region, to talk it over, and devise a mechanism like the one that governs the free movement of citizens from Nepal and Bhutan inside India. Alongside, the two nations can also address impending demographic and security issues – but separately still!